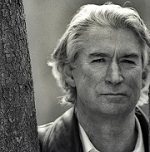 Geoffrey Burgon is best known as a composer for television contributing memorable themes and incidental music for that medium. In particular the theme for Brideshead Revisited is often included in collections of favourite TV themes. It is at once classical and yet with heightened interest from the inclusion of the occasional modern-sounding harmony. In contrast to this, the closing titles to the series "Tinker, Tailor, Soldier, Spy" with its religious choral sound gave an eerie ethereal close the programme. 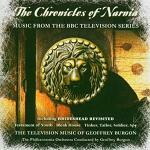 Burgon also contributed to children's television in the form of the hugely successful Chronicles of Narnia. The tale is spread over several series beginning with "The Lion, the Witch and the Wardrobe". For the even longer-running series Doctor Who, Burgon provided the incidental music for two fondly remembered stories called "Terror of the Zygons" and "The Seeds of Doom" mixing acoustic and electronic sounds to great haunting effect. More recently Burgon has produced music for the BBC's remake of the "Forsyte Saga". In the world of film music, Burgon created music for only a handful of films but these include some iconic scores. "The Dogs of War" is a film about mercanaries and arms dealers starring Christopher Walken. The end titles song takes its lyrics from a poem "Epitaph on an Army of Mercenaries" by A.E.Housman and sung by Gillian McPherson. Although people remember particular moments (and songs) from Monty Python's "The Life of Brian", Burgon also created some particularly effective underscore tracks. Available soundtrack CDs include "Brideshead Revisited" (at Amazon.co.uk and Amazon.com) and his work for those two "Doctor Who" stories (at Amazon.co.uk and Amazon.com). For piano sheet music of Burgon's television themes take a look at The MusicRoom who have a title called Brideshead Revisited which also features five other TV themes by the composer including "The Chronicles of Narnia" and "Tinker, Tailor, Soldier, Spy". Burgon went to the Guildhall School of Music and Drama where he studied composition with Peter Wishart. As a student he met and became friends with Christopher Gunning. He played the trumpet in various bands and orchestras and had a fondness for jazz (in particular Miles Davis). In addition to his success in television which brought him both Ivor Novello and Bafta awards, he also enjoyed recognition as a contemporary classical composer. He composed a Requiem, several concertos for the concert hall, a number of ballet scores for various ballet groups, and various choral works. A number of these compositions have been recorded and are readily available on Amazon and some on Soundcloud. The composer also has an official website at www.GeoffreyBurgon.co.uk. We were saddened to hear of the composer's death at the age of 69. In what must be a coincidence of timing, a few weeks after Geoffrey Burgon's death, the BBC have released on DVD the Doctor Who story "The Seeds of Doom", a story well-loved by fans and featuring the composer's music. Among the extras on the DVD there is a feature interview with the composer called "Playing in the Green Cathedral". 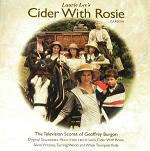 The DVD can be found at this link on Amazon.co.uk. A unaccompanied choral piece by Geoffrey Burgon called "Love me Brought" was podcast by the Church of England for Advent on 12/12/12. The piece has been released by Chester Novello, and they have made it available to listen on Soundcloud. 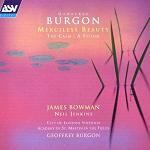 Here is a selected set of recordings of both concert and television music by Geoffrey Burgon.